Is Indian farmer destined to live in destitution and die in debt? When two soldiers are martyred at the border, the whole nation rallies with them. When two hundred farmers commit suicide or die on the farms, you would hardly find a mention in social media. We should not forget that Kissan (farmer) is as important as Jawan (soldier) and we say in one breath Jai Jawan Jai Kissan. Today we need war cry not at the border but in the farm. Have you seen the glee in the eyes of politicians when they announce loan waiver schemes for farmers? No prizes for guessing whether their eyes are filled with mercy for farmers or avarice for votes. A few weeks ago, Chairperson of the largest state owned bank sensibly voiced her concern that loan waiver could upset credit discipline. Some of the legislators had the audacity to demand her apology for this. For them, we are reminded of Jesus’ last words ‘Father, forgive them for they do not know what they are doing’. But there are many people in the government and bureaucracy who know what they are doing. The smaller issue is that they are making bad banks, worse. The larger issue is if Indian farmer is destined to live in destitution and die in debt? Let us take the smaller issue first. In theory, the burden of loan waiver is borne by the state governments. Its immediate impact may be a slight fall in NPAs but it does spoil credit culture and makes all lenders reluctant to lend them save for statutory obligations. The last loan waiver was done in 2008. 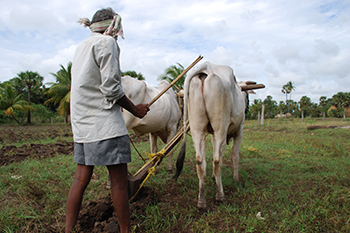 The farm sector NPAs had fallen from 8% to 3% during 2003-2008. With loan waiver, NPAs of farm sector fell from about 3% to 2% in FY’09 and then steadily increased to current 6% as farmers were waiting for some such opportunity. This was despite the fact that in this period, we had by and large good monsoon. Interestingly while PSU banks have a little less than 80% share in farm loans, but 94% share in farm loan NPAs. Private sector banks quietly manage their books on year end reporting days. Now let us discuss the larger issue. It is a strange paradox that Indian farmer who works hardest, gets subsidy on all key inputs and price support on output, still makes losses. He gets concessional interest rates, free water, power, subsidized diesel, fertiliser, minimum price support and still cannot generate enough income to make his both ends meet, leave aside, being a good borrower. If crop fails, he obviously has no money. If crop is good, prices tumble and he is bankrupt again. Many farmers’ suicides have been in the wake of abundant crop making prices crash in commodity pattern of onion, tomato, potato etc to abysmal levels. This is the situation after since seventy years of country’s progress post independence. Mind you, every year, in every budget speech of last seventy years, finance ministers’ have spoken about more sops, more schemes, and higher outlay for rural and agriculture sector. In the same period, other countries have achieved revolutionary increase in farm and agricultural productivity. To illustrate, in India, 50% of the people do farming that barely produce enough for themselves and other half of population. In a country like USA, barely 2% of population produces enough not only for remaining 98% of their people but also a huge surplus for exports. We shall come up with right solutions for a problem only when we refrain from the wrong ones. Loan waiver is a wrong solution. The right solution to is to increase our farmer’s income in sustainable way and make it diversified and less vulnerable to monsoon or commodity prices. Our agriculture and farm sector policies have always been driven by populist vote catching motives and not sustained well being of the farmers. For long term structural change, we need substantial capital outlays, to be deployed in a tight programme over say five to ten years. Some major reforms in agriculture, like land use pattern, river linking projects (in India, there would be controversies on every initiative) to provide water to each and every farm, can change farmers’ fortunes in an enduring way. We need to fix the distortion in fertiliser subsidy, and prevent soil damage by excessive use of urea. We need to contain reckless tube wells and have scientific water management, maintaining ground water at higher levels. We need to manage supply chain better with good infrastructure of roads, warehouses, cold storages. We also need to upgrade infrastructure and technology for predicting weather better, provide know how on rotation and types of crops, ways to do multiple cropping and guidance on crop mix of cereals, pulses, vegetables, fruits etc to maximise revenue and maintain land fertility for long term. Government can buy vegetables like onion, potato and provide price support only if it has adequate cold storage with reliable power supply. We need to invest in food processing facilities to fetch better value to the farmers. We need to take disguised unemployment off the farms by absorbing them in non-farm sector in urban areas as well as facilitating growth of allied activities, livestock and cottage industries in the rural areas. This requires job creation by large scale investment in industries, services such as tourism and up-gradation of urban infrastructure including new smart cities. Fortunately today, we can raise as much capital as we desire, I shall discuss that separately. All these long term measures do not have instant gratification therefore they happen either at a very slow pace or are pushed down on priority list. Historically, many large scale projects got mired in corruption and scandals. How many of our cricket fans who celebrate victory against Pakistan or Bangladesh know that farm productivity in many Indian states for several crops, is lower than the same in Pakistan or Bangladesh. When two soldiers are martyred at the border, the whole nation rallies with them. When two hundred farmers commit suicide or die on the farms, you would hardly find a mention in social media. We should not forget that Kissan (farmer) is as important as Jawan (soldier) and we say in one breath Jai Jawan Jai Kissan. Today we need war cry not at the border but in the farm.